9:00 am Pay a visit to the Silverback Nation and meet athletes from all of our classes in a relaxed and fun workout that is guaranteed to make you laugh, cry or both. Houston Challenge Zach will be entering his second competition in as many months as he represents the Silverback Nation near downtown. We still don’t know what the first event will look like but they begin at 8:00 am. More info at Crossfit Houston’s site. Wish the big lug some luck. AT 1:30 pm WE RECIEVED WORD THAT ZACH HAD MADE THE CUT OFF FOR THE TOP 12 IN THE MORNING WOD’S AND WOULD COMPETE IN THE AFTERNOON WOD’S. Fun de Mentals tomorrow: Saturday the 19th from 7:00 to 8:45 we will be taking our newest members testing base line strength and learning more about the CrossFit methodology. All current members are welcome, but this is geared primarily to new athletes. Good luck Zach! Sorry I can’t be there this time. I know you will do great. For the record, I really miss you at 5AM. Zach, OMGosh! 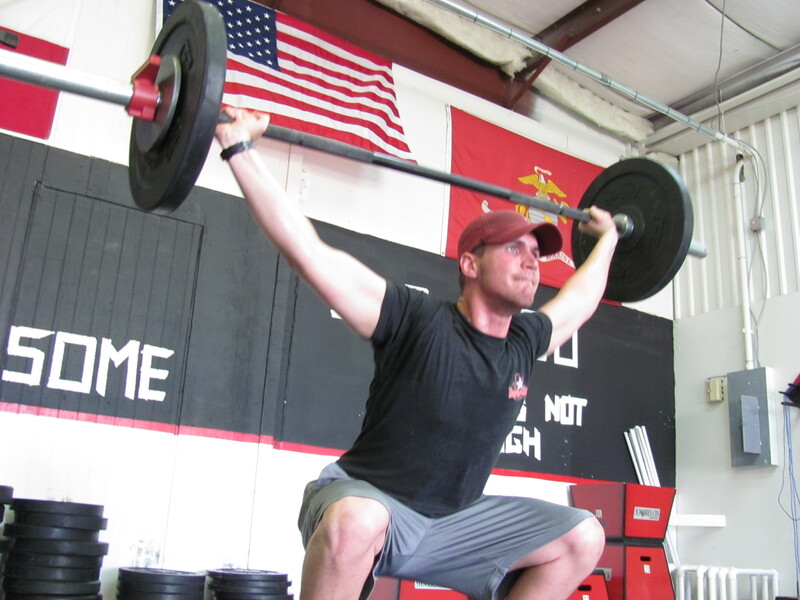 Tim told me about the TGU with sandbags and how you will have channel your inner frog for the 24″ jumps and burpees. Know you will rock it and can’t wait to see what they have in store for you for rounds 3 and 4. Sorry we can’t be there in person to cheer you on, but you will be in our thoughts. Show them what a “Gorilla” you are. Zach – good luck dude. I hope to get there for wods 3 and 4. Get some! Zach, I hope the “inner frog” Linda mentioned behaved itself. We r all pulling for you. Proud Mama reporting: Zach won 1st Place in the Scaled Division!!! The man was on fire today. I saw Zach’s performance in the last two wods and it was impressive. He represented CFSB quite well. Nice job Zach.